Take a moment to ask yourself: How much time do I spend daily in my lab coat? Is it comfortable? How long will it last me before it starts to fade and fall apart? Does its appearance send a message of professionalism and prestige to others? Do I feel like it reflects the years of training and sacrifice for my career? At Medelita we have taken the traditional medical lab coat and upgraded it in every way possible. 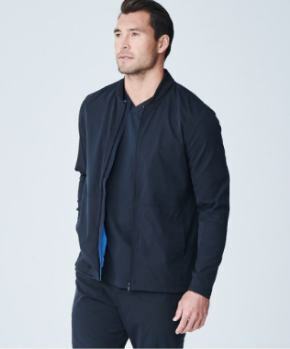 We have added utility features, created a tailored yet ergonomic fit, and perfected each and every detail of the garment. When you take into account how much time you spend in your lab coat, it becomes clear that the quality of that coat must be the most important factor in your purchasing decision. The unsurpassed quality of Medelita lab coats begins with our fabric. Our proprietary M3 fabric has our signature dobby weave but incorporates a number of technological improvements for better performance. Medelita's M3 fabric is environmentally friendly, extremely comfortable, and highly durable--it is the cornerstone of our high quality. You can read more about our M3 fabric here. We build upon the quality of our fabric with the quality of our craftsmanship. Our garments are designed by Lara Francisco, a licensed PA and clinician who understands first-hand what medical professionals need from their workwear. 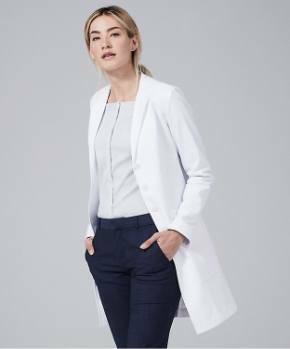 Medelita lab coats are designed with a fit that is purposeful yet flattering for medical professionals. Almost every seam in a Medelita lab coat has a slight curve to it, mimicking the actual form of the human body. This attention to detail is a sign of true quality in a lab coat. Straight seams are easier and cheaper to sew in a garment, but they create a boxy appearance and restrict your movements due to the poor construction and design. 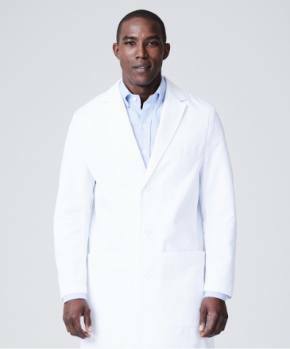 Medelita lab coats maintain the overall professionalism of traditional lab coats, but with an ergonomic and modern fit that allows for ease of movement without restricting your motions--a feature that you will undoubtedly appreciate the next time you have to reach for the top cabinet for medical supplies! 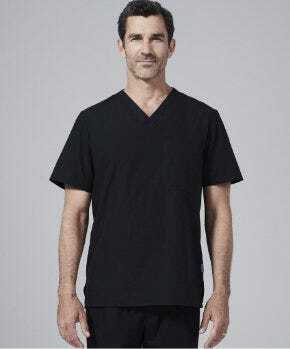 The tailored neck draping gives the garment an ideal fit and allows it to sit comfortably on your shoulders[/caption] Medelita offers a wide variety of lab coat styles for men and women that come in two different fits: classic and slim fit. 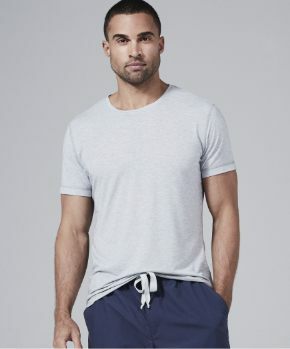 Our classic fit is not too loose or too tight, but simply fits you well. Our slim fit creates an elongated, flattering silhouette and fits closer to the body. These garments are all created with impeccable construction and distinguished design, and our styles are consistent in fit among sizes.  You will see and feel the difference in a Medelita lab coat as soon as you put it on. We have become known for our high quality lab coats, and the proof of this can be seen in our performance fabric, beautiful construction, ergonomic fit, and impeccable attention to detail.